The Fiat 850 Spider was a small 2-sear roadster with a body designed and built by Bertone and mechanical bits from the Fiat 850 sedan. The 850 is pretty slow, even by X1/9 standards, so having a number 11 followed by "HP" is funny. Very funny. 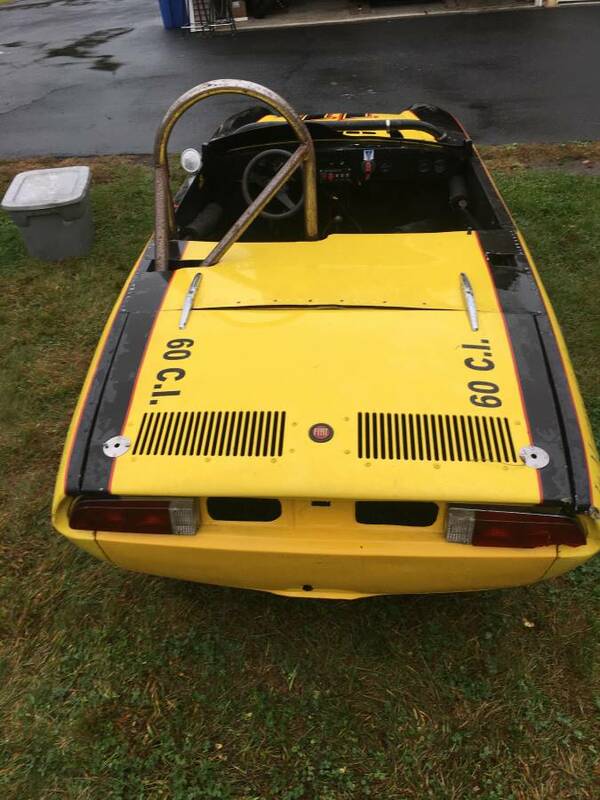 Find this 1971 Fiat 850 Spider offered for $2,950 in Fairfield, NY via craigslist. Tip from Cory. 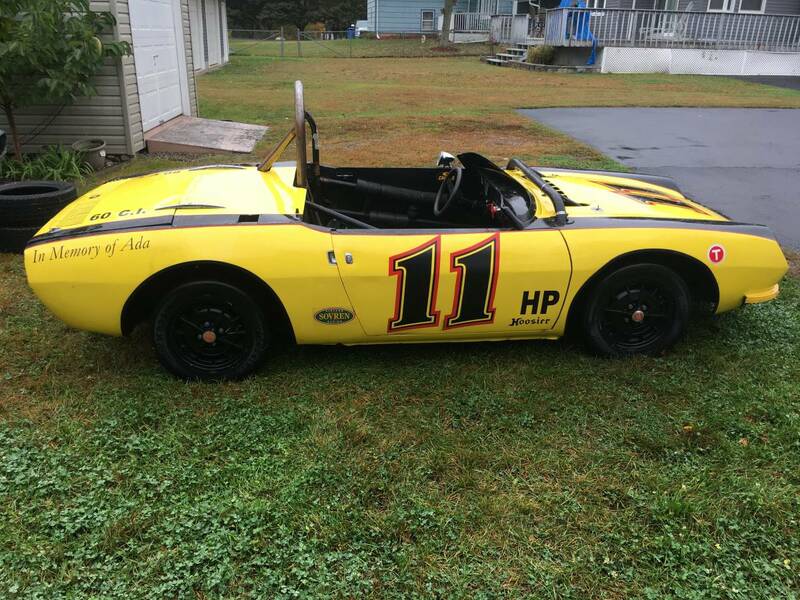 Very solid custom Fiat 850 spider race car, drivetrain is out but available, engine it's apart and needs a rebuilt, but you can put almost anything in the back of this little car to make it go fast, few parts are missing, you can easily make this your weekend racer and participate in vintage racing events. Rare 13" cromodora wheels on slicks. The wheels alone are worth half the asking price. $2,950 OBO, or trade. Payment in cash or PayPal, if you're not interested or you're a scammer don't waste each other time. I'm pretty sure that's H/Production, but it does seem all too believable that it might be horsepower. Ought to be a fun track car even if it does only have eleven horsepower, though. Looks like right now it has 0 HP. Cool car, but I can't imagine it being a competitive car in H prod. Send some pics and description to tips@dailyturismo.com... we just may be able to put them up.